A number of years following our breakthrough with Coconut we headed to the tropics, looking for inspiration for new flavours. Resting under a tree as the sun dipped and melted into the sea our slumber was broken by the tinkle of ice in a refreshing beverage. Floating in the top of the glass was Lemon. By marrying the zing of lemon with the smooth taste of coconut produces a cookie that is the taste of summer. 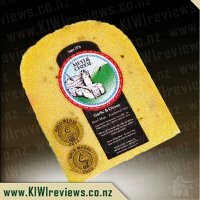 Since 1988 Kea Cookies have been baked for you right here in New Zealand. We are constantly working to bring the great taste of our delicious, traditional homestyle recipe to you. This pack of Lemon Coconut is loaded with coconut and the zing of lemon for a delicious cookie in any season. They&apos;re also gluten, wheat, dairy, and egg free and suitable for vegans. I have a couple of family members who are fully vegan or going vegan so I&apos;m always on the lookout for something that tastes good that they can enjoy as well. I have two very big lemon fans who were eager to get their hands on these, so we decided to make a real treat of them and &apos;glue&apos; them together with some chocolate icing that we needed to use up. They were devoured in no time at all with all three of the kids begging for more, the only problem was that we only ended up with nine unbroken biscuits so that was all we could do with that avenue. Eating these just as they are, I could pick up the coconut easily however I got zero hint of the lemon (perhaps some added lemon zest, not just lemon essence could make it stand out more?). What I did find was that it tasted very, very much like a shortbread biscuit which is great as I have a family member who loves to bring shortbread to family gatherings but always feels dissapointed that some members of the family can&apos;t enjoy them too, I&apos;ll be sure to let him know that there is a good brand out now that he could also purchase. The lack of lemon was dissapointment but I&apos;m still happy to have found a yummy vegan product and will be sure to let my vegan family know about this brand and will be trying out any other flavours this brand may have. 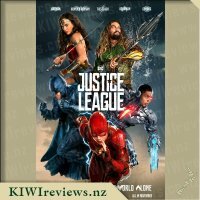 Despite perhaps the Cookie Monster I do not think there could be a bigger cookie fan than me, since as long as I can remember I have always had to have a cup of tea and a couple of cookies for supper when I finally get the opportunity to sit down and watch some television at the end of the day. In recent years I have found myself to be a bit intolerant to gluten and have had a few issues with my stomach and I think one of the hardest things for me was finding cookies that were gluten free and still as nice as cookies I had had in the past. Some gluten free cookies I have tasted have been far from enjoyable but these were amazing!! The lemon and coconut taste comes through very clearly and although they are obviously made with gluten free flour alternatives they still have that traditional shortbread kind of texture to them not too dry like other gluten free cookies I have tried. In fact these were very moreish and I found it very hard to stick to the couple of cookies I would normally have while at the same time wanting the box to last me as long as possible as I have not been able to locate where I may get more locally as of yet. Some of my family who have tried my gluten free products in the past and not enjoyed them were shocked to discover just how good these cookies were it really does go to show that gluten free products are getting better and better over the years and cookies like this are very exciting to me as having easily accessible gluten free options that taste great are ideal for my family. Although they are more expensive than mass produced biscuit brands the price is reflective of the quality of the product and I have been paying more for a while now to get gluten free or dairy free products so am happy to pay the price of this box of cookies. My sister who is vegan is also always on the look out for new products that suit her diet restrictions and again found that these cookies would be perfect for her as a convenient and tasty treat. Cookies and other baked goods have always been in my cupboards right from a young age, whether they were store bought or handmade. My nana used to make the best coconut cookies and it was an added bonus when we visited that we usually got to take some home. I have several friends that have allergies or an intolerance to gluten and dairy, so I am usually conscious of this and will have some specific cookies in my cupboard for them. In the past I have tried various brands and flavours of gluten-free cookies, they have been alright tasting but a tad heavy feeling, so when I saw these Kea Lemon Coconut cookies available to review I jumped at the opportunity. Upon receiving the cookies I loved the appearance of the front of the box, it was pretty simplistic but the logo with the stunning bird really stood out. The front of the box states that these cookies are dairy free, wheat and gluten free, egg free, vegan and delicious. I was skeptical about how delicious they could possibly be, but I loved that these cookies came in a cardboard box which is easily recyclable rather than too much plastic packaging. 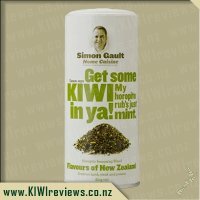 On the back of the box is a short summary of how the company came up with the flavour combination of lemon with coconut, also a short description about Kea Cookies. After my initial examination of the box I quickly opened the packet within the box and straight away was met by the unmistakable coconut aroma. In the past when I have tried gluten-free baking, both homemade and store bought, I have found it to be quite dull in taste and heavy in texture. While chewing my first cookie I was pleasantly surprised that this was not the case with these cookies. They were so delicious I found myself continuously reaching into the box for another one. The lemon flavour was just right in my opinion, as it wasn&apos;t too subtle that you couldn&apos;t taste it, but at the same time it wasn&apos;t overpowering. I recommend these cookies as a great snack, perfect for sharing with a hot drink. Since receiving this product to try I have recommended them to a friend who has a dairy intolerance, and she is going to try them for herself. I was quite interested to read that Kea Cookies has been around since 1988 as it certainly isn&apos;t a brand that I have heard of before. Having said that, I don&apos;t follow a gluten free diet so this is possibly why. Gluten free products are becoming more well known now, with a lot of people choosing to be gluten free whether they need to for health reasons or not. Why it certainly isn&apos;t something I seek out, I am not against trying some gluten free products. 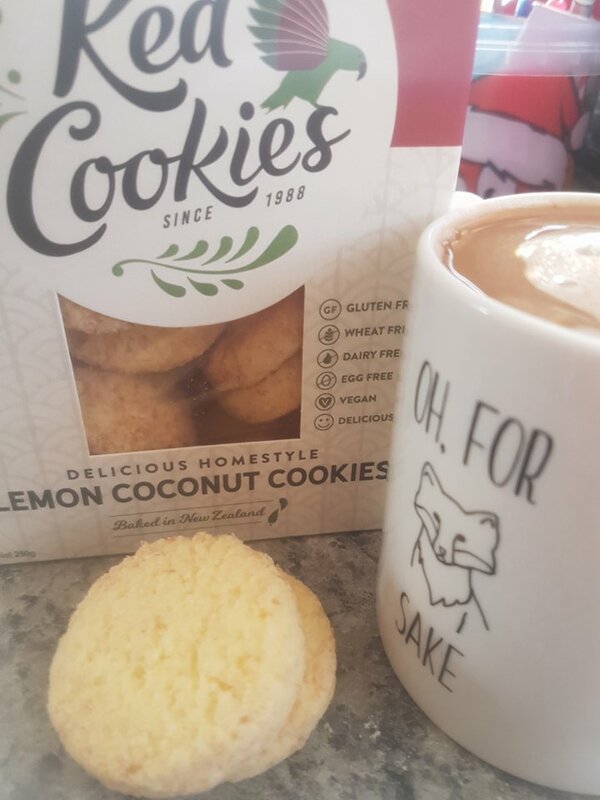 Lemon and coconut are two of my favourite flavours so I was excited to get selected to try these cookies through KIWIreviews. Opening up the packet I counted 15 cookies in the pack. Stating that it had 12 serves I wasn&apos;t sure whether one biscuit was a serve, or one cookie and a bite! The first smell that hit me was the resounding smell of lemon. And then it was the pleasant smell of a shortbread type biscuit. I certainly couldn&apos;t smell any of the lemon so was interested to try one of the biscuits. Upon trying one, the lemon flavour was definitely there, possibly even more so than the coconut flavour. It was a slightly fake lemon flavour so I wasn&apos;t surprised to read in the ingredients that they have used lemon essence to flavour the cookies. They were nice and crunchy, and the texture of coconut was noticeable. One recipe I make that is often requested by my family is a lemon cheesecake. I decided to alter this a little and use some of the cookies to create an individual lemon cheesecake. I crushed up four cookies and mixed them with a little bit of melted butter and pressed them into a little ramekin. Four was a little much, so I took out a little bit and probably ended up using three cookies worth of biscuit crumbs. 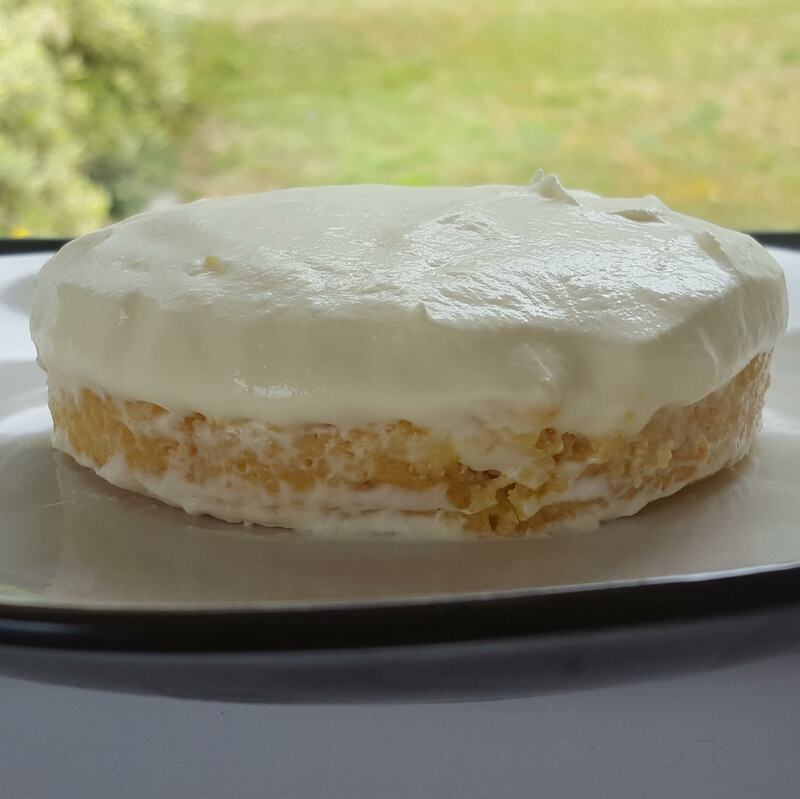 I let the base set in the fridge before adding the topping, simply whipped cream and condensed milk with some lemon juice in it to taste (although, I left out the lemon juice to have a plan topping to be able to taste the cookie base). A couple of hours in the fridge and it was ready to eat. Upon trying the cheesecake I noticed that the lemon taste in the biscuit had all but disappeared. It tasted just as I usually make it - with coconut krispie biscuits. 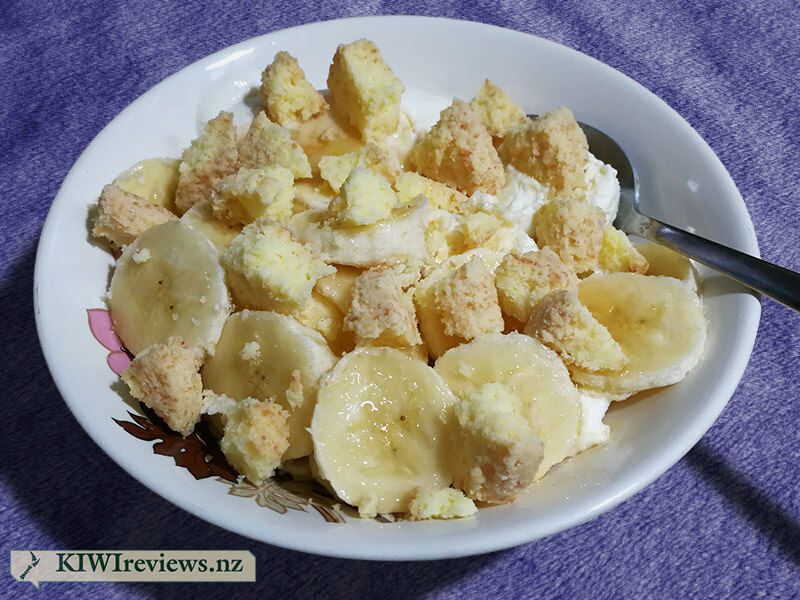 They were a nice texture and flavour, but I could have done with putting some lemon juice in the cheesecake topping as it certainly wasn&apos;t coming through the cookies. 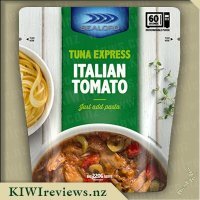 I would certainly recommend this product to friends are who gluten free (and I do have one or two) but for myself personally, with the cost that gluten free brings I don&apos;t think they would be something I buy again. It is nice to know they are there though, so if I was to cater for people who are gluten free I have options I can use. I also appreciated the 50c off coupon hidden in the bottom of the box for my next purchase that doesn&apos;t expire until the end of October 2019. I am not gluten-free but have a fair few gluten-free and allergy friends with children and so I like my own family to be aware of different foods, of tasting some of the foods their friends are eating and realising that different and allergy friendly can still be yummy! The Kea cookies grabbed my attention initially with the packaging and then the flavour, which sounded like a great combination! I do love that the box is fancy and nice looking - meaning that these could be given as a gift. I really like that you can see the biscuits in the box - and that they are freshly sealed in a cellophane bag. I did the naughty thing when these arrived and hid them on the top shelf away from Miss 8, Miss 6 and Master 4, not to mention the biggest cookie thief of all - my husband! I wanted to have the first try myself before giving the cookies over to them. My first try was in a traditional way - cup of coffee and a cookie. From the first bite, I was smiling with delight at everything about these biscuits. Their flavour is delicious, with the tang of the lemon but also the flavour of the coconut coming through. I really enjoyed that they are a bit like a shortbread, but do not crumble and lose bits - nothing worse than losing your cookie!! 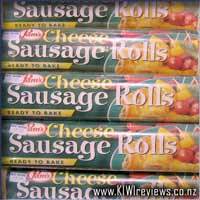 I did stash them back on the shelf, but clearly not well enough, and the 3 kids found them the next day and asked if they could try them. Of the kids, not all were keen - my youngest said it was too sour - when I asked what flavour he thought they were he said straight away lemon. The girls both enjoyed them and my oldest remarked these would be good on ice-cream or in yoghurt which is something I need to try. I am going to make cheats yo-yos (melting moments) with these for a birthday party coming up as well as that they would be great crunched on the top of lemon muffins, I think! All in all the lemon and coconut cookies were a big thumbs up from me. 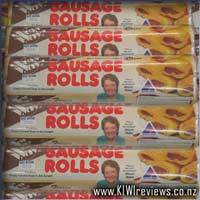 I would purchase them not as an everyday, kids just scoff them biscuit but a nice, good quality flavoursome treat. 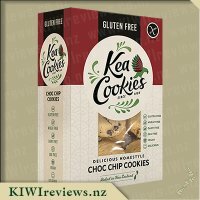 I&apos;m not gluten free by any means nor are any members of my family but when I saw these yummy looking and sounding Kea cookies up for review I was most interested in trying them, the combination of lemon and coconut sounded to me like an absolute flavour delight. Being gluten free didn&apos;t put me off wanting to have a taste as I have noticed in the last couple of years that such products have really improved in both quality and taste and taste just like any normal product, no longer do they taste like crunchy cardboard that for any normal person is just unbearable to eat, and luckily this particular product was great! Miss 4 is the queen of cookies and although she likes most cookies there are a few which she does dislike, so I decided that she would be a perfect taste tester for these. The cookies were of a good sized circle and had a lovely thickness to them, one which reminded me a lot of that of shortbread. Miss 4&apos;s face lit up as I handed her a cookie to try and she immediately asked "what flavour is it? ", I told her to guess and her reply was "oranges and lemon", not a bad guess I must say. The flavour of these cookies was delightful a lovely tangy hint of lemon flavour with an interesting texture given from the coconut. They proved a hit with both Miss 4 and I. As I really like to try out my review goods in more ways than just 1 I decided to crumble up 3 of the cookies and use them to make a crumble style topping to put on top of some lemon curd muffins I was making, as they quite a hard cookie I opted to blend them into crumbs in the food processor rather than by hand which I found worked perfectly, giving lovely fine crumbs which I sprinkled over my unbaked muffins, these went lovely and crisp on cookie and turned nice and golden, they also provided the muffins with an extra tang and texture which was lovely. Next up I decided to use some of the cookies as the base for some mini cheesecakes I was making, white chocolate and lemon, again I crushed them up in the food processor and then mixed the crumbs up with some melted butter to create a firm cookie base in the bottom of some lined muffin trays. Topped with a white chocolate cheesecake filling and then a lemon topping these went into the fridge to set. I was impressed by the results that these gave when used as a set base, the consistency was perfect and easy to put your spoon through, even my "I hate cookies" partner said that the base tasted really nice. All in all these cookies are a delight and I am so pleased to have had the opportunity to try them for myself, even though I wouldn&apos;t rush out and buy them for me they are something which i&apos;d definitely consider buying if I had one of my gluten free friends coming over as these are something we could happily eat together. 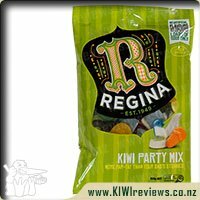 I had never tasted the Kea cookies before but I knew of their existence and was keen to give them a try. The first thing that catches my attention with the packaging is the fact that you can view the cookies through the clear bag from the front of the box which is a huge positive to me as it shows there is nothing to hide and you can judge what you are purchasing. The box gives off a very Eco-friendly vibe and is ECF (elemental chlorine free) which is great for keeping it clean. I made myself a coffee, decided to have two biscuits to accompany it and proceeded to take my first bite which was delicious. The texture and taste are very much of a shortbread style cookie which breaks down and melts away in the mouth. As the cookie breaks away a sweet buttery taste spreads throughout the mouth with hints of lemon zing and coconut taste. One of the big positives of this cookie is the fact that it is Gluten, wheat, dairy, egg free which caters to people that have certain allergies like my partner (who also loved these biscuits). Some products that are made to be vegan and allergy friendly are quite distinctive because the flavours and textures are much different but that is not the case here as I wouldn&apos;t be able to tell the difference between these cookies and standard shortbread cookies. 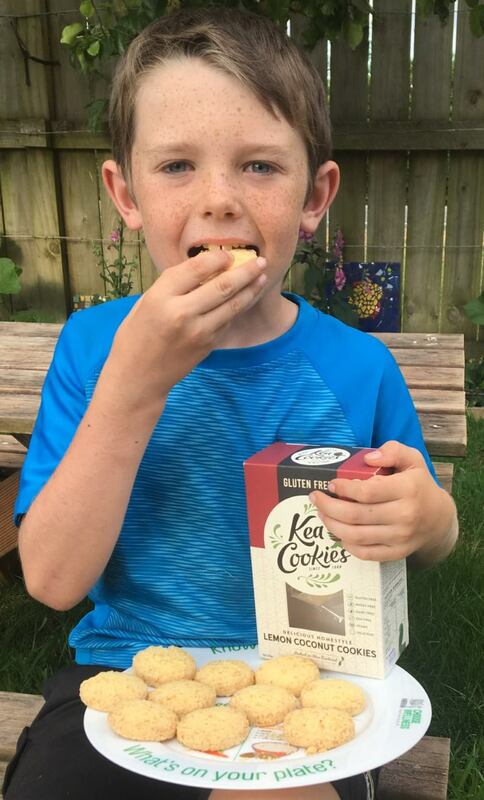 So, all in all, I find these to be great tasting allergy-friendly homestyle cookies which can stand proud and say no animals were harmed in the making of these cookies.I look forward to trying more from the kea cookies range. 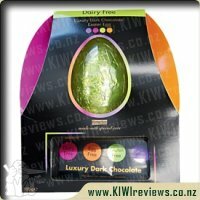 The product has the same style of packaging as the chocolate chip variety; very bold artistic style, and a matte finish that provides are great texture when it sits in your hand and feels as recyclable as it is. It is a beautiful packet and gives the consumer confidence that the product will have a consistent quality product inside. The product comes in a plastic sleeve inside the cardboard box; unfortunately, the plastic sleeve isn&apos;t as recyclable as the box and isn&apos;t resealable either. Lemon and coconut seem a rather odd choice of flavour, but having tried many delicious unexpected cookie flavours working in a cafe for six years, I was open to giving them an honest try. When you think of coconut products you expect that crumbly, stringy, chewy, tough texture, but that isn&apos;t what you get here. While there is the off chewy particle left in your mouth afterwards, the coconut appears to be ground down to a fine powder, which perhaps helps the product keep its shape, considering it&apos;s also gluten, wheat, egg, and dairy free.The exterior of the product certainly looks crumblier than the chocolate chip variety, but once the packet has been eaten, there are surprisingly few particles remaining at the bottom of the packet. The messiness is an illusion. 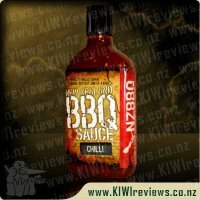 The product has that distinctive coconut flavour, with an extra little tang of the lemon, but isn&apos;t an overwhelmingly sweet product. The cookie is solid enough and holds its shape until you bite into it. Once you get halfway through the cookie, it crumbles and dissolves in your mouth, making it very easy to eat, with little wear on the teeth. That being said, its ability to dissolve does mean it gets stuck in any gaps in your teeth very easily, but that is a common problem with soft cookies. Kea Cookies Delicious Homestyle Lemon Coconut Cookies are a treat for the taste buds. I found the flavour of lemon came out more so then the flavour of coconut which I thought I could not really taste that much coconut in it and my partner thought the same thing; he also mentioned he tasted more lemon than anything else. We both really enjoyed the cookie and he referred to it as a yum shortbread biscuit. I love the box and the colours and I love the see through tab which allows you to see the biscuits. The down fall is not been able to close the bag inside but you can however close the box up again which is great. I extremely love that these cookies are gluten free, wheat free, dairy free, egg free vegan and delicious as described on the box. These cookies are such a treat and good for you also. I would give these to my niece to try as she can not have egg products due to her skin breaking out so this would be a yummy treat for her when everyone else is enjoying biscuits. 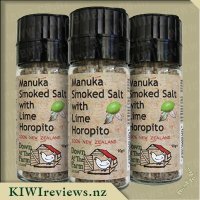 I love the fact that these are New Zealand made and I had no idea this were around until I got to try them to do the review. I was surprised to see they have been produced since 1988 which made me think why have I not seen to heard of this before. Each cookie is the prefect size and good enough size to enjoy one with a cuppa tea or on its own. I would say this one box would last longer than you would think, they are not cookies you want to sit and eat them all at once. They are more there to be enjoyed and as a treat, and what a treat they are. You would not be disappointed with them. "He doesn&apos;t like coconut" said Mr Seven&apos;s father as I opened the pack. "He really doesn&apos;t like coconut!" said his mother. Mr Seven looked puzzled and helped himself to the first biscuit from the packet, and then his face split into a big grin as he took a big bite. "I REALLY like coconut!" he declared. "And lemon too!" Miss Five promptly took one too, and assured us that she liked them as well. I was going to be creative and serve them with other items for pudding, but, by the time the grown-ups had all tried one and Mr Seven was on his third, there were not too many left! There were a dozen biscuits in the packet and we had already finished more than half of them, so I decided to call it quits and just ask everyone for their feedback. My cousin, who was visiting, said she loves shortbread and these had a real shortbread taste and texture. She was surprised to learn that they were gluten free as she had expected them to be drier, and thought they might be nice dunked in a hot drink. However, the weather was far too hot for anyone to bother putting the kettle on, so she made do with alternate bites of her biscuits and swigs of her cold lemonade! She did like the flavour, and observed that this was not a flavour combination she had tried before in a biscuit, but she thought it worked very well and the lemon and coconut proportions were nicely balanced. 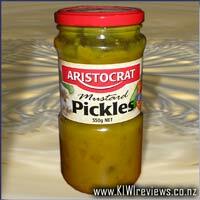 Mr Seven&apos;s father agreed - he thought the flavour balance was just right with neither ingredient dominating the other. He said one would not be enough (Mr Seven agreed enthusiastically as he tried to sneak a fourth!) but two would be just right. He thought they were amazing for a gluten free product; he would not have picked that and had to check the packet to assure himself that I was right. He said they improved with eating, and enjoyed his second biscuit more than he had the first. My daughter liked the packaging. She thought it was eye-catching and well designed, with both the outer cardboard and the sealed inner being fully recyclable now that the local supermarket has a facility for plastics recycling - an important sales point for her when she goes shopping these days. She is another one who likes dunking her biscuits on a cold night so she is going to buy another packet just for when the current heatwave has subsided. We all thought they were a little costly, but they do have that home made taste and appearance. We have friends who have to eat gluten free products so it is good to have products available for them. The biscuits have the advantage of being egg and dairy free so are suitable for a number of people with various dietary constraints, and they are also vegan which is an added bonus. Altogether, they will be a perfect treat to have on hand for lots of social occasions. And, as a bonus, the kids loved them too! My usual &apos;go to&apos; cookie varies in flavour depending on my mood, but whatever the taste they tend to be sweet, slightly chewy, moist and full of flavour. From that, it should be easy to see that biscuits like sugar cookies, which tend to be dry and brittle, are not my thing, nor do shortbreads, which are crumbly and dry with a buttery flavour, appeal overly. When I first opened this box and saw what was inside, my enthusiasm faltered. What I found inside was a stack of cookies that looked like the ones my grandmother used to put out for family visits - being of British stock, shortbreads were a staple for them. "The very thing for having with a cup of tea, young man!" she would say when she heard me groaning. Naturally, that&apos;s what she grew up with, and since I didn&apos;t drink tea... well... tea time at grandma&apos;s was never a fun time for me as a child. Putting those unpleasant memories aside, I braved a bikkie and took a nibble. Very much in line with shortbread in terms of texture, these cookies are a bit dry and crumbling when you bite into them, but the flavour was wonderful. I love the citrus tang of lemon and that tropical sweetness of coconut, and in this cookie, they combined to create a wonderful flavour that made the dryness of the biscuit a matter of secondary importance. Since I don&apos;t suffer from any major food allergies, I thought I could offset some of the dryness by breaking these up to go with some ice-cream and sliced banana - a plan that turned out very well indeed with the dryness of the biscuits adding texture and some delicate but distinctive flavour to the ice-cream while off-setting the sweetness of the banana perfectly. For those who, like me, are free from food allergies, using these biscuits as an ingredient in another dish could be ideal. Overall, while these cookies do little to offset the stereotype that gluten-free food is often dry, they completely counter the assumption that GF means flavourless - these are far from that. Fans of traditional shortbread will find these easy and appealing to eat, while those who indulge in drink-dunking will likely find these worthy of attention too, though I fear the loose, grainy texture will lead to as much in your drink as in your fingers.